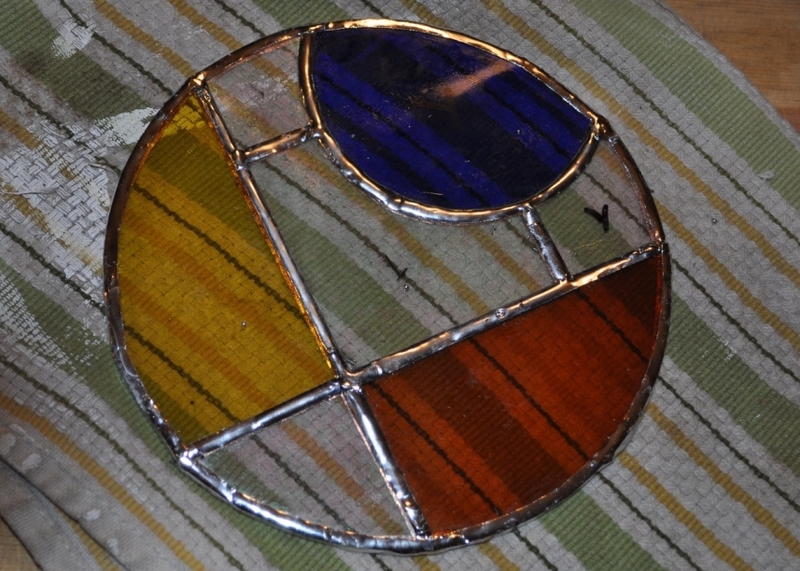 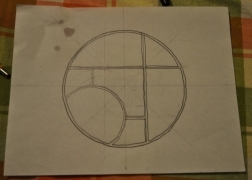 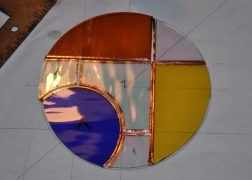 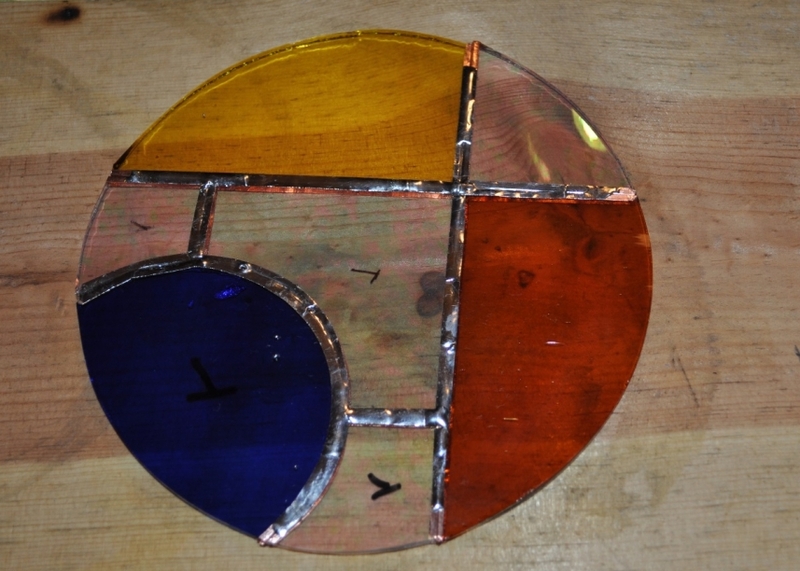 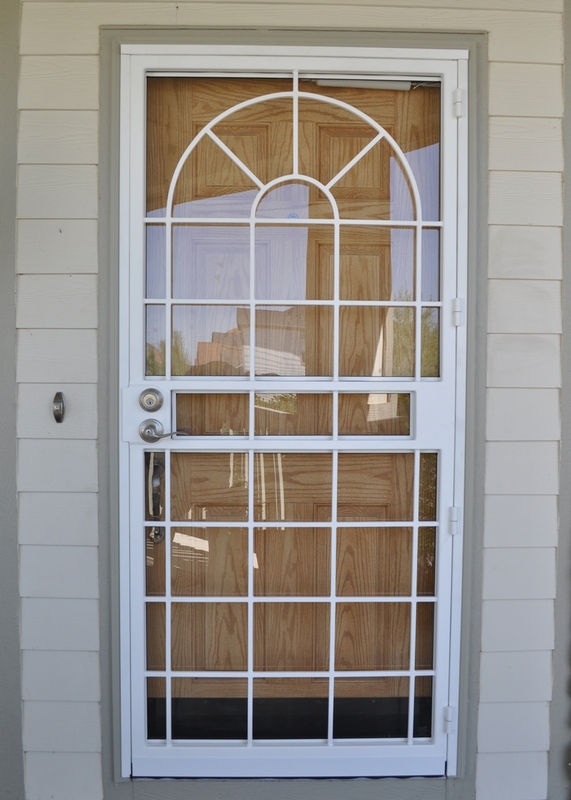 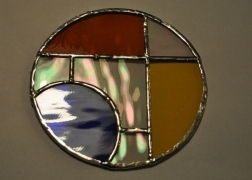 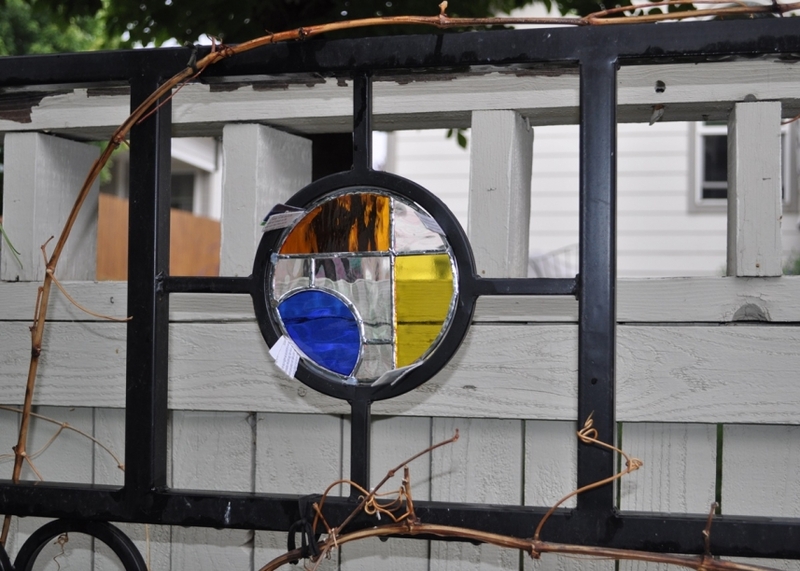 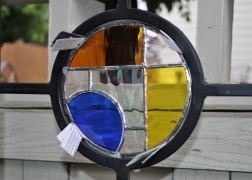 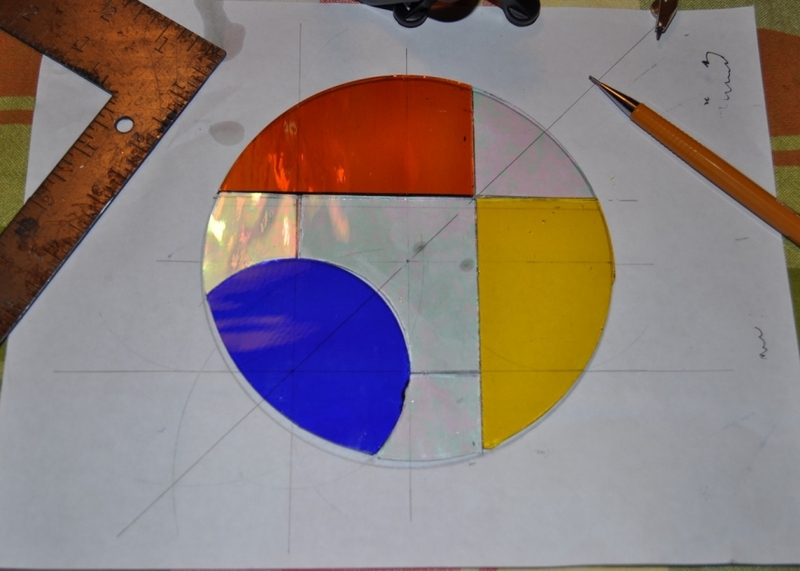 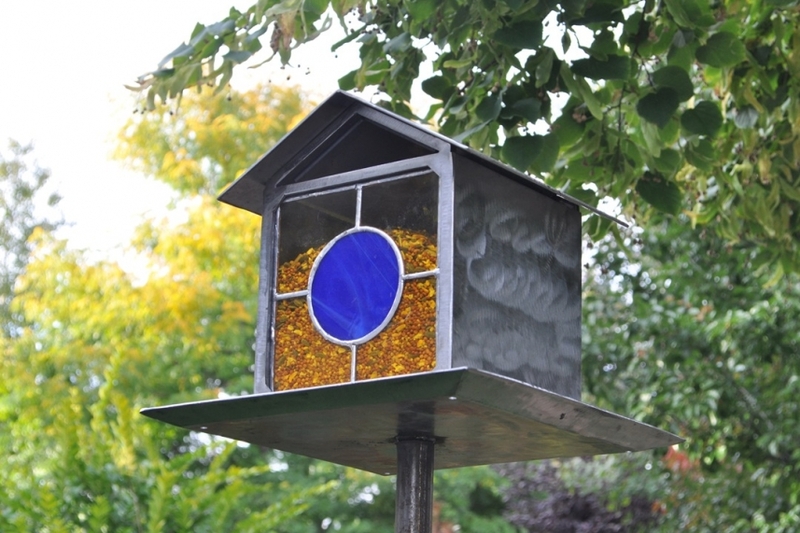 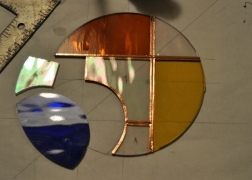 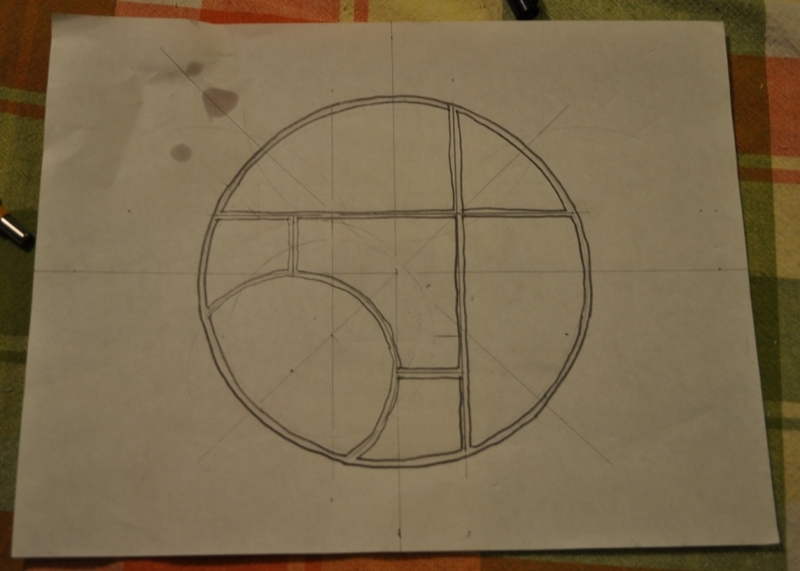 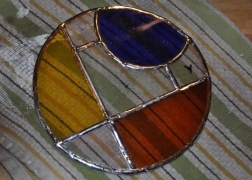 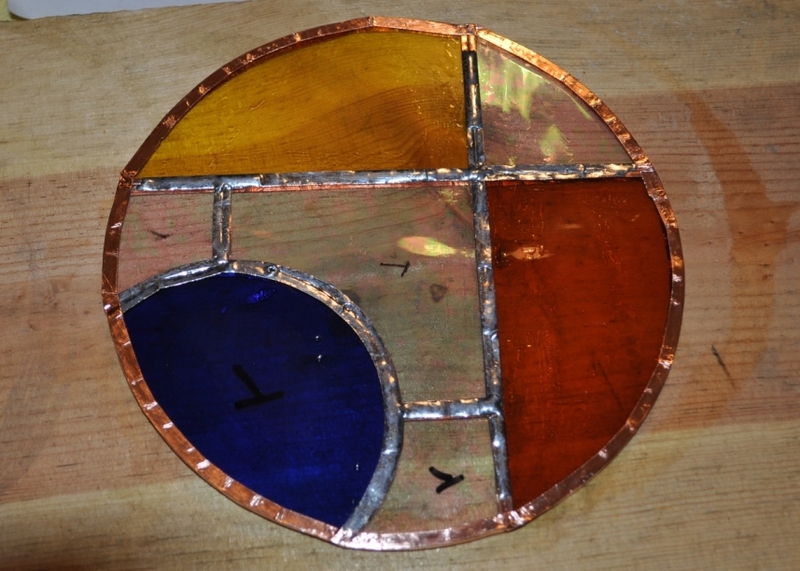 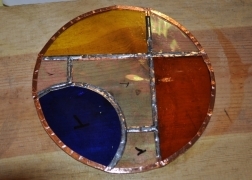 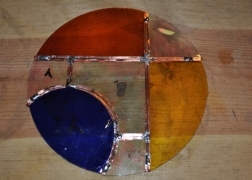 In the process of expanding the ability to provide mixed media projects and meet the needs of some individual clients, Architectural Metal Works and Fabrications has endeavored to learn the art of Stained Glass. 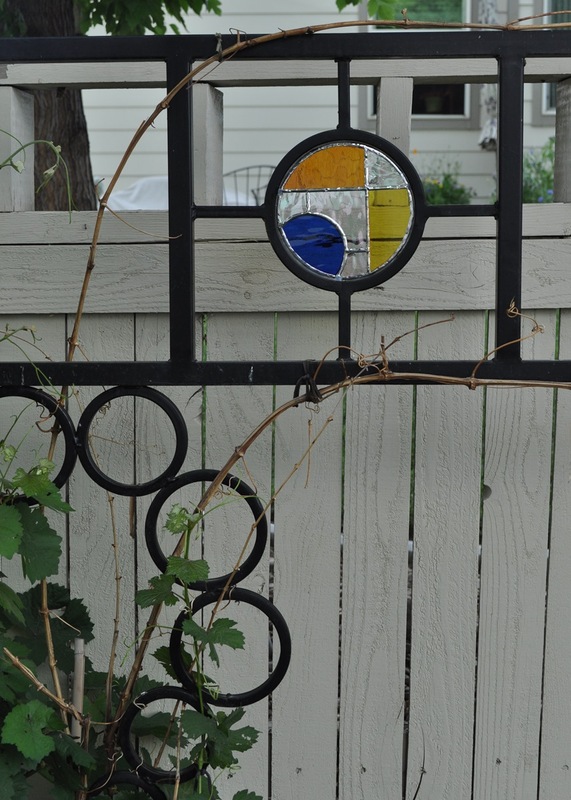 I do not use the term “Art” lightly. 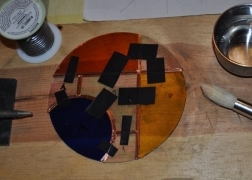 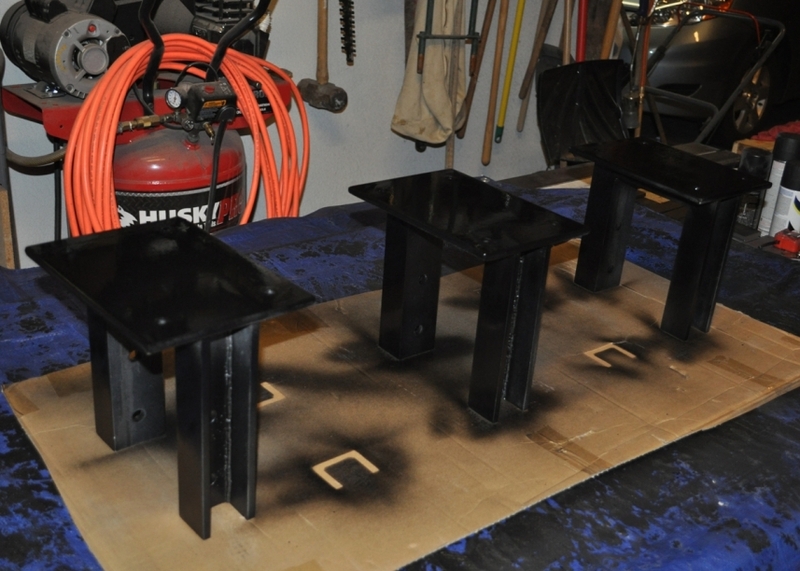 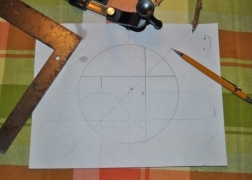 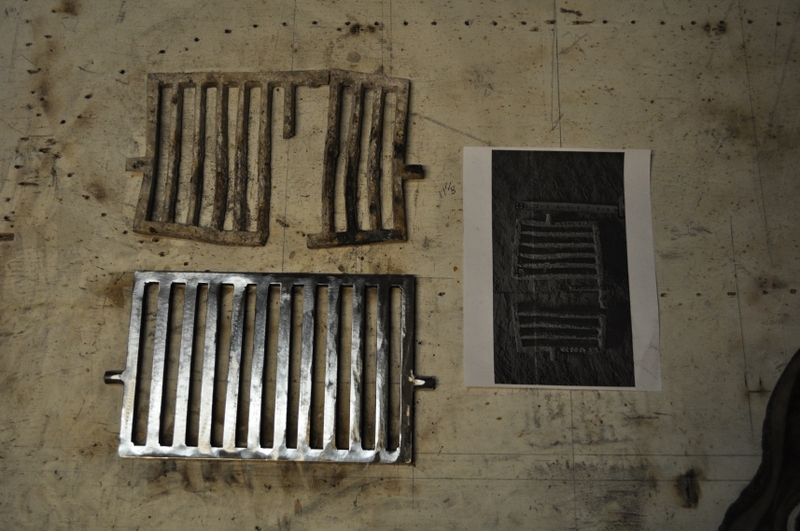 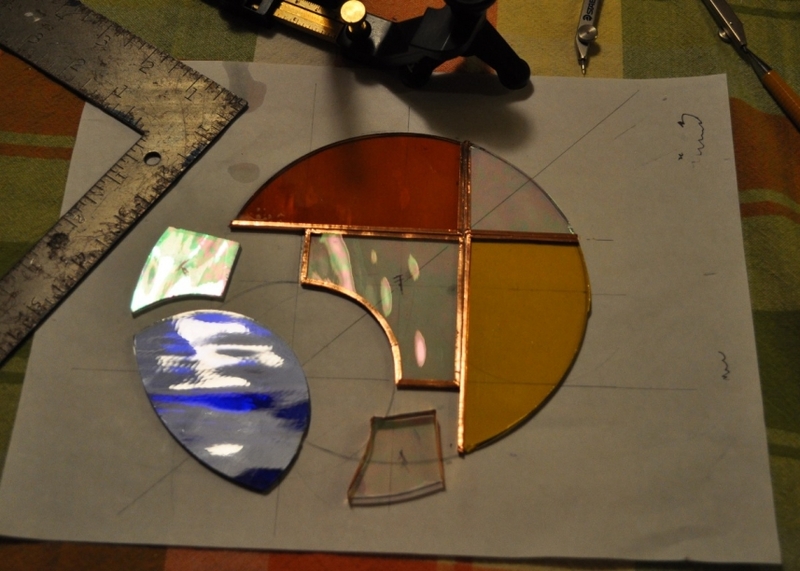 Having broken a lot of glass, cut some fingers, and burned through a great deal of solder, AMW is revisiting some past projects to determine if they can be improved by a little bit of color. 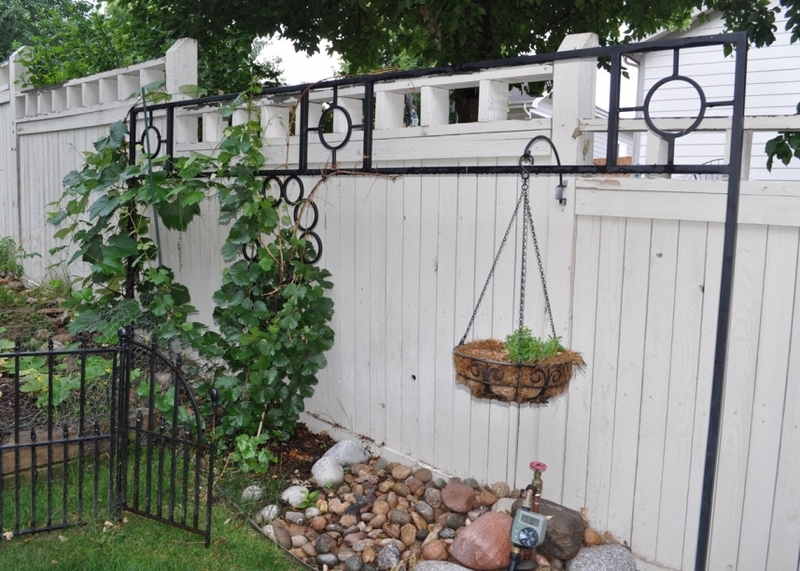 This project is Home Furnishings project completed to provide a structure to grape vines in a residential garden environment. 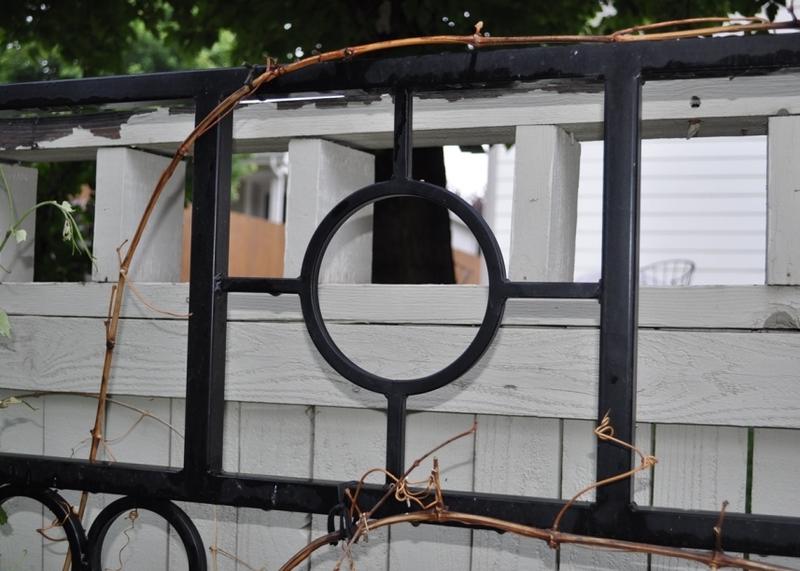 The client wanted something that was very transparent in the winter when the vines loose their leaves, but also provides a strong support for the vines. 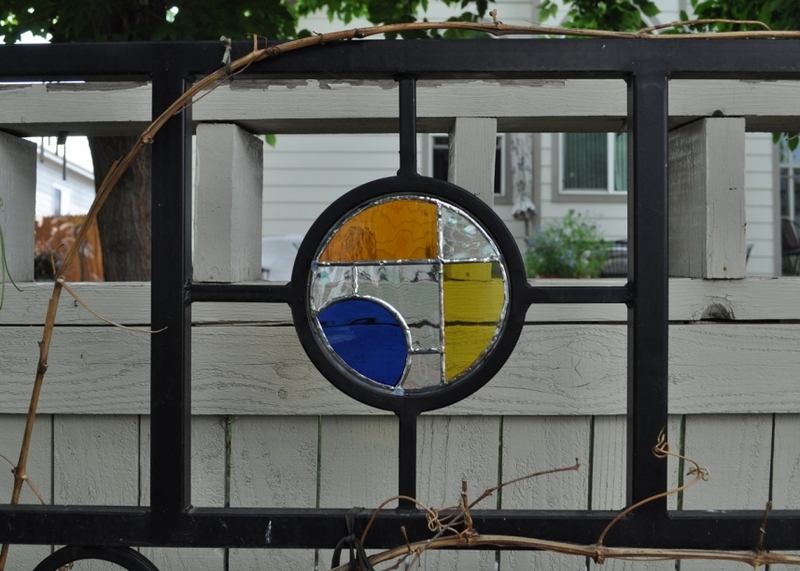 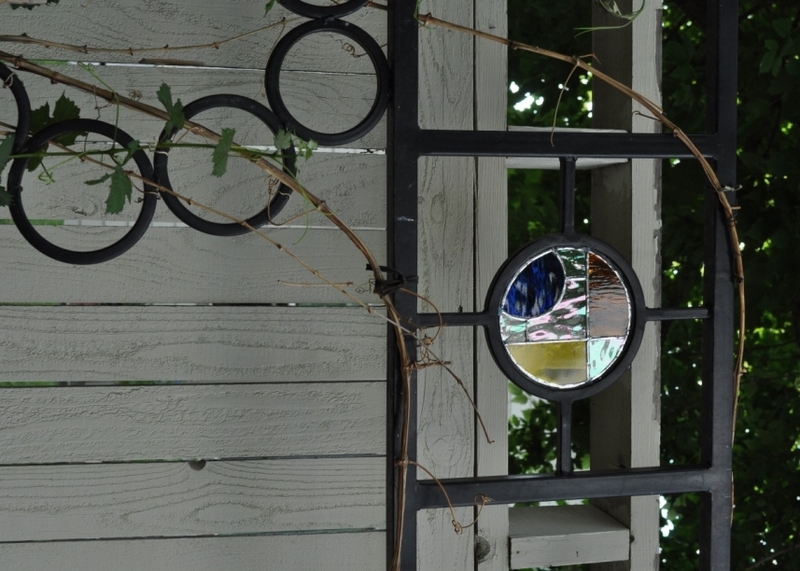 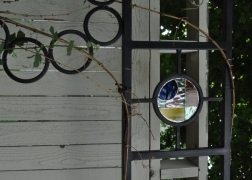 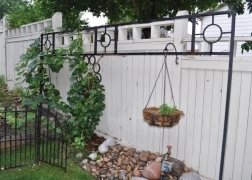 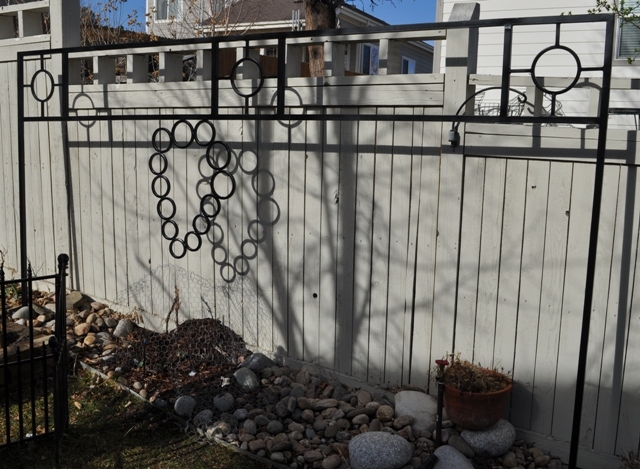 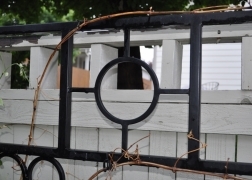 Upon retrospect the trellis met all of their aesthetic and functional needs, but would also provide some color and sparkle with the addition of stained glass. 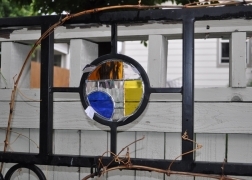 The overall style of the infill was patterned to work compliment existing stained glass panels in the home designed AMW, but not built by AMW.